During the first week of May, you may have seen our “A Method to the Madness: How to Trim Your Potential Agency List” Strategic Sourceror blog post. Our experienced team was able to identify a three-phased approach to streamline the creative agency sourcing process. To add to that, we’ve developed this simple infographic as a reminder of the key elements from the blog post. 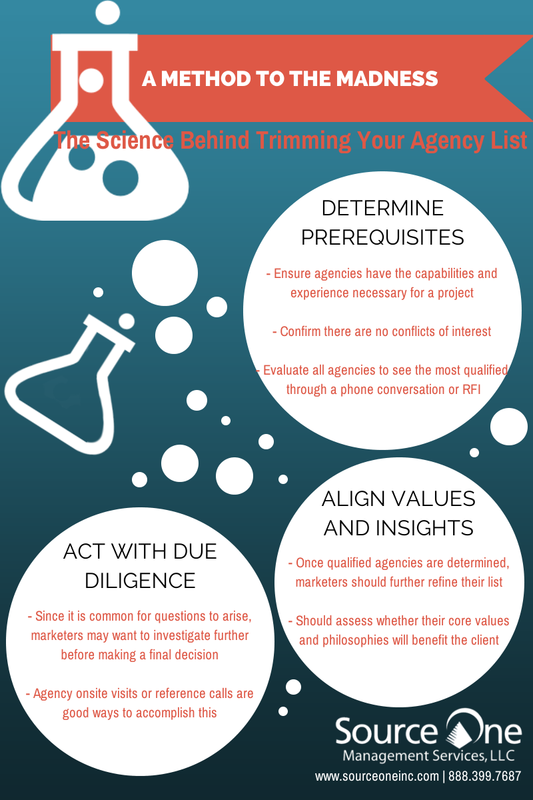 Check out the infographic below and reflect back while trying to trim your next agency list—minus the madness.